Washington-entrenched U.S. 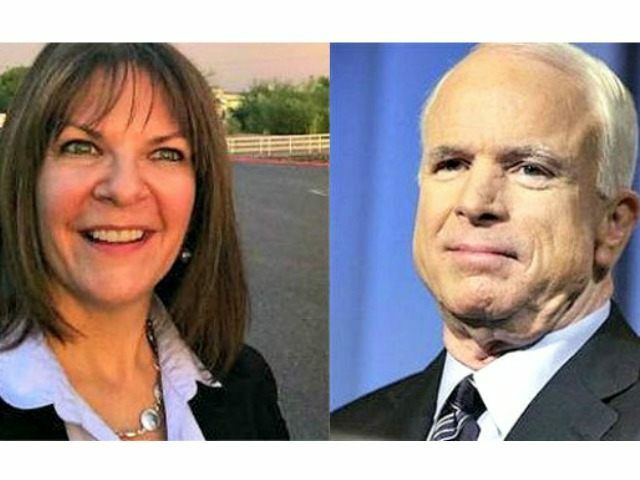 Senator John McCain (R-AZ) is vulnerable in his bid for a sixth Senate term in Washington, according to potential challenger Arizona State Senator Kelli Ward. 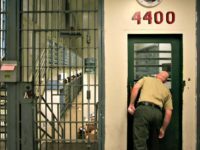 Ward joined guest host Matthew Boyle on the Breitbart News Sunday radio program, explaining why she thinks so and why McCain may be partially responsible for the current dangerous state of the United States’ national security. Boyle and Ward started out discussing the secrecy surrounding ObamaTrade. Ward said, “We shouldn’t be doing government business in secret.” She also pointed out the voting games politicians play, confusing voters over their actual positions on the issues. Number one, my personal thought is that we have to secure our border, we need an in and out system and there cannot be amnesty for people who have broken our laws. Ward would start by targeting illegal visa overstays, which she says comprise around 40% of illegally present foreign nationals. She would send them back to their countries and put them at the back of the legal immigration line. I also see Senator John McCain, he’s got some ads out now talking about how we need to secure our border, we need to fight illegal immigration, because he thinks that the people here in Arizona will be duped again by his ‘build the danged fence’ rhetoric that he had during his primary season the last time; and then as soon as he was re-elected he joined that ‘gang of eight’ and he started fighting for amnesty for people who came here and willfully broke our laws. McCain seemed to rediscover a more conservative border stance when he faced primary challenger J.D. Hayworth in 2010. The Washington- entrenched Senator ran ads pledging to “build the danged fence” at the border, but has yet to make good on that promise. Instead he engaged in the Gang of Eight amnesty bill effort. Boyle went on to point out McCain’s propensity to push his military background as an argument for his re-election. His allies are expected to push this issue as well. Boyle asked Senator Ward if McCain “Supports immigration policies that are harmful to the United States, that aren’t going to actually secure the border,” how can he claim to be strong on national security? Ward is a practicing physician in addition to her position as Arizona State Senator. 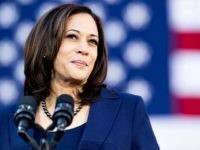 She denounced Obamacare for its role in decreasing quality of and access to healthcare while making it more expensive. She called to “Repeal Obamacare fully” and restore protection of consumer rights to healthcare. “We actually have to get new blood” into positions in order to see positive change, Ward expressed. “We’ve seen organizations lead us astray as to who we should pick to be our guy or our girl,” so people need to meet and question the candidates themselves. “The conservative grass roots is on fire and wants someone that is a fierce champion for them,” Ward said, arguing that McCain is vulnerable, and there is a financial and political path to victory for her to achieve election to McCain’s Senate seat. Kelli Ward is currently exploring a 2016 bid for election to the U.S. Senate. Catch Breitbart News Sunday recordings on SiriusXM Patriot.